One of the major factors driving the Opioid abuse epidemic is the frequency with which these potent and addictive drugs are prescribed by doctors. 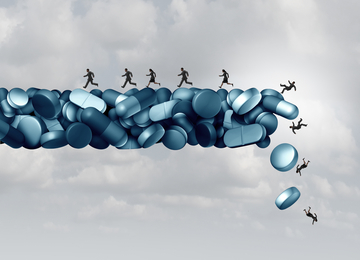 Through a series of mistakes, aggressive marketing, and poor judgment among medical professionals, Opioids like Oxycodone were deemed 'safe,' and distributed like candy to unsuspecting patients. Our world is in desperate need of new health care and community leadership. We believe it is important to move away from being a drug culture to a new culture that nurtures human potential through every phase of life. It is certainly true that if you're going to live to 80, 90, 100 years and beyond, then you are going to have to not die. If you are going to enjoy quality years, then avoiding drugs except as a very last resort is optimal. Don't be afraid to get the help you need for yourself or a loved one in order to break your addictions. Make healthier choices today and enjoy a sensational century.